The aim of this book is to explore ethnic, cultural and material changes in the transformative history(s) of oceans and seas, commodities and populations, mariners and ships and raiders and refugees in Southeast Asia, with particular reference to the Sulu-Mindanao region, or the ""Sulu Zone"". The aim of this book is to explore ethnic, cultural, and material changes in the transformative history(s) of oceans and seas, commodities and populations, mariners and ships, and raiders and refugees in Southeast Asia, with particular reference to the Sulu-Mindanao region, or the "Sulu Zone." 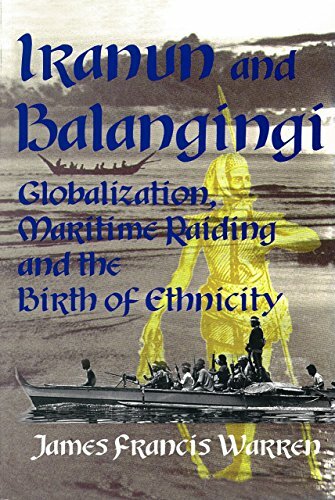 Examining the profound changes that were taking place in the Sulu-Mindanao region and elsewhere at the end of the eighteenth century, this book establishes an ethnohistorical framework for understanding the emerging inter-connected patterns of global commerce, long distance maritime trading, and the formation and maintenance of ethnic identity.